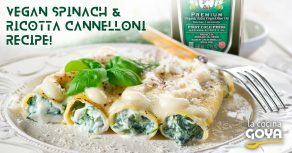 Vegan Spinach & Ricotta Cannelloni Recipe! 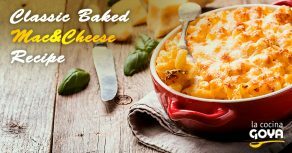 Our favorite Gluten-free Spaguetti & Meatballs Recipe! 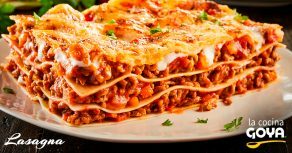 Today we will cook this very famous and popular recipe in the Italian-American culture. First, we will prepare the meatballs, then we will boil the pasta and finally we will add the tomato sauce. 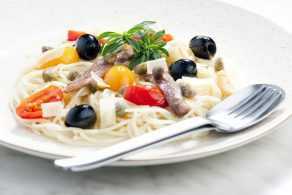 Spaghetti Puttanesca (Spaghetti with Capers, Olives, and Anchovies) Recipe! 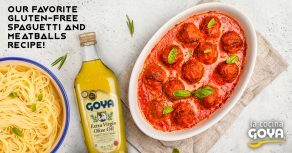 Once the pasta is cooked, fry two garlic cloves, anchovy fillets, GOYA® Capers and GOYA® Black Olives.